The new Mad Max trailer is one of those overview jobbies. You know, where some narrator rounds up the game's most pertinent points over footage of game stuff happening. It pretty much cancels out the need for me to write anything informative in this here word bit of the post. The trailer's got me covered. Maybe we should catch up instead. We never just talk any more, you know? Here I am, fishing out news from the vast PC gaming ocean. But what about you? How's your day going? Got any plans for the weekend? Have any strong opinion about the fact that Miffed Maximus's car is called frequently referred to as a Magnum Opus? It's a bit weird, right? 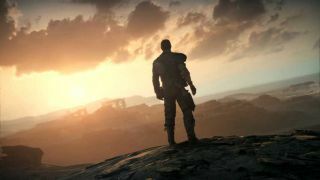 Mad Max is due out in September.